Fannie Aleman is a Business professional with a 20+year career in finance, an active real estate investor and a dynamic member of her community. 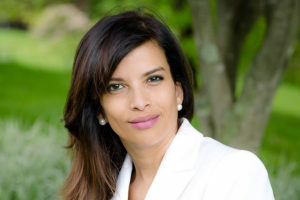 In 2009 Ms. Aleman founded Genesis Companies, a firm which specializes in strategic business consulting and business development and is most recently developing a highly specialized “Executive Reset Retreat Program” focused on health and wellness. She also created www.myQTB.com / www.Quetubuscas.com, a unique online portal designed to connect independent contractors and minority owned businesses with global employers. This bilingual website streamlines the process and enables both contractors and businesses to form strategic partnerships and accelerate annual revenue. Fannie has also been a member of multiple Board of Directors and Advisory Boards and has also served as an expert contributor to the local, national and international media on topics related to business, labor and finance in the United States and Latin America. After beginning her banking career in 2002 Fannie has worked at Greater Hudson Bank and HSBC Bank, USA as Vice President Senior Business Relationship Manager and previously at Union State/Key Bank where she managed the Construction Loan Department. Prior to her career in Banking, Fannie worked in sales, business development and project management for various companies in Florida and in the Dominican Republic. Her career also includes an MBA in Financial Management from Pace University, a Bachelor of Arts degree in Business Administration from the University of Miami, and an Associates of Art degree from Miami-Dade Community College.